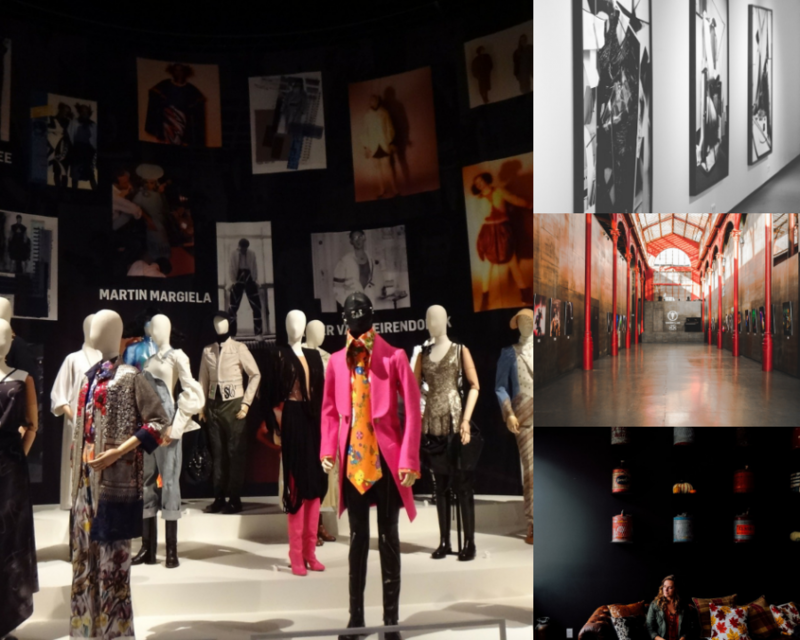 Tradeshows can be quite an exuberant experience for many since it offers a lot of exposure for competing brands and emerging businesses within the industry. However, as a business owner, you are always on a lookout to make your team and offered amenities stand out from the rest. One of the best ways to do this is to make sure that your booth or stall is set up in such a manner that onlookers simply cannot get their eyes off of it. 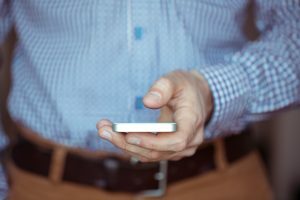 Here in this post, we would like to share with you some of the best design features that can get you all the attention you deserve. So, stick around and find out some of the finest schemes that can make your next tradeshow appearance for your brands and businesses an instantaneous and mega-hit. Where Your Main Feature Is Your Product! One way to make your booth design instantly appeal to the masses is to create a gigantic version of your main product or service as the central idea for your booth design. Thus for a shoe company, huge sneakers could serve as the backdrop for your stall. We know making things appear gigantic may not sit well with others, however, you need to deliver a picture to your customers and prospects that is larger than life itself. 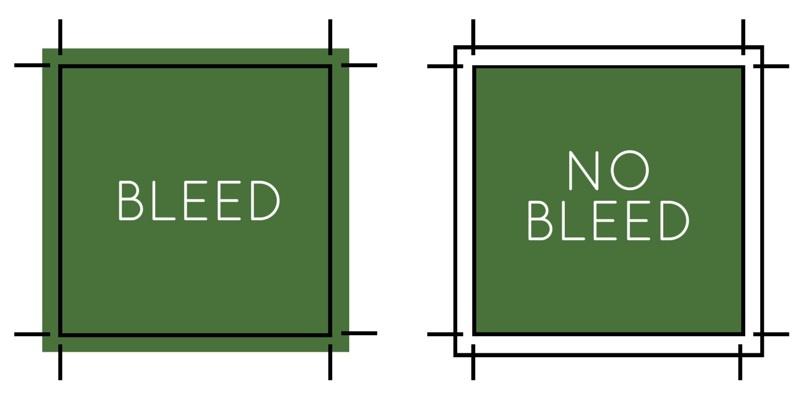 Plus it allows you to set your differences aside and focus on a simple and decluttered design that emphasizes your offered product or service. This is a strong message to anyone who doesn’t know you to instantly understand what your business is all about. Keeping the notion of offering viewers a minimalist approach to your company’s branding, a lot can be done with simplicity combined with elegance. A stylized product wall that seems like an incomplete maze can offer you both closure as well as easy entry and exit for your audiences. This is one wall that is arranged in such a fashion that it offers a maximum display for your products, nothing too heavy to digest, and still makes a powerful statement about your brand or business. This plays ideally well for cosmetics and perfume displays. The use of vinyl banners, wall graphics or posters are perfect for these displays. You know there will be a lot of people that would need someplace to give their bodies a rest since these tradeshows can be quite unnervingly prolonged at times. This is where you can capture the attention and allow them a dynamic seating arrangement that not only serves to comfort them but permits you to give you a solid presentation regarding your offerings. Make them relax and feel comfortable while simultaneously offering them your products and services through vibrant displays, lookbooks, or pop displays to surround their imagination. Being subtle and yet ambitiously promote your brand is an art and this can take you closer to mastering it. 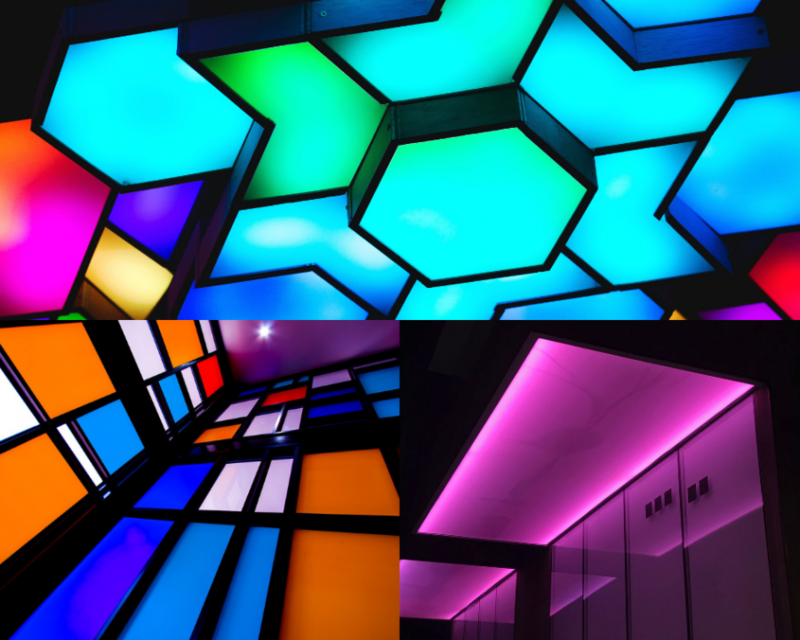 The artistic and aesthetically pleasing ceiling is not simply a part of the Renaissance Age, it still gathers a lot of appeal to this day. Besides people don’t like to be confined in small and tight places. This design allows you to offer them the freedom to move about as per their will, while your overhead hangings are sure to attract a lot of attention. This simple yet effective design allows your visitors to be open and yet be a part of the bigger picture that you will eventually present them with. Making yourself distinct is the essence of marketing and promoting your business. 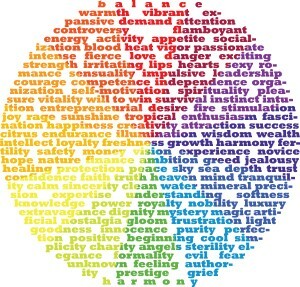 This also gives you a lot of options to play with as well enabling you to create a distinguishable feel for your brand. At times if you really want to make an impression you have to do it in a manner that is different from all the rest. In this, an enclosed environment for your booth can serve as an isolating factor from all the commotion in the surrounding and make your visitors feel exclusive. This is your playground and sky is the limit. Create an ambiance for them in whatever little space that you have and make your audience feel special. They should sense that they have entered a portal to some new dimension. 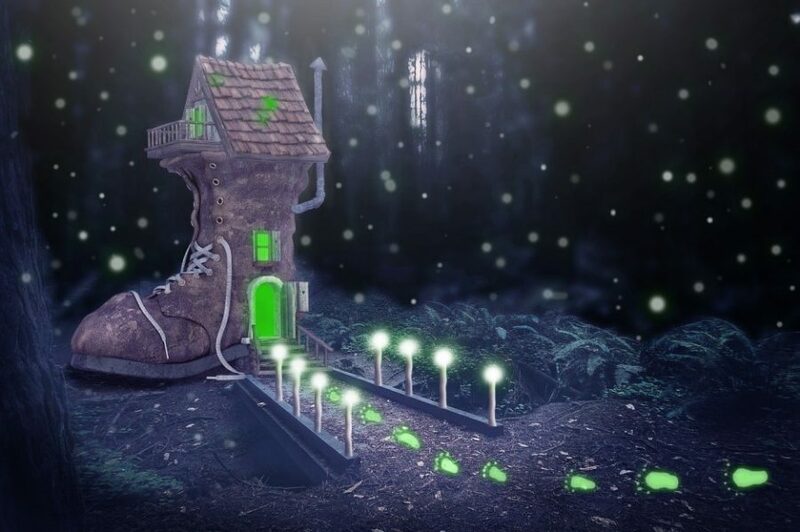 Make this journey and transition for them as enjoyable as possible, stay creative and pay attention to detail for décor, lighting system, display, and loads of other variables. Your brand and business’ logo is more than simply an insignia that serves as a trademark for your venture. 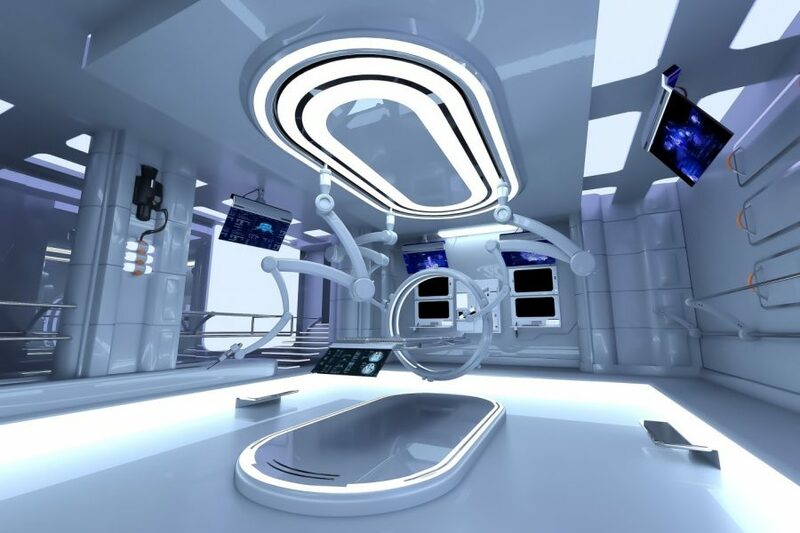 It can, however, be converted to a whole new feature if your booth design heavily implies all of its artistic curves and features to create a depiction or representation of your journey so far. In short, your booth design is a representation of your company’s logo and within its structure products and services are displayed in an imaginative and inventive manner. We simply cannot tell you what will make a perfect impression, however, your design team might have to sit and discuss this in a meeting to pull this one off. There is a lot of awareness that is being created about global warming and how should businesses be focused on their corporate social responsibility. Luckily if you are a business that is effectively environmentally friendly then this is your chance to show off and make everyone jealous. 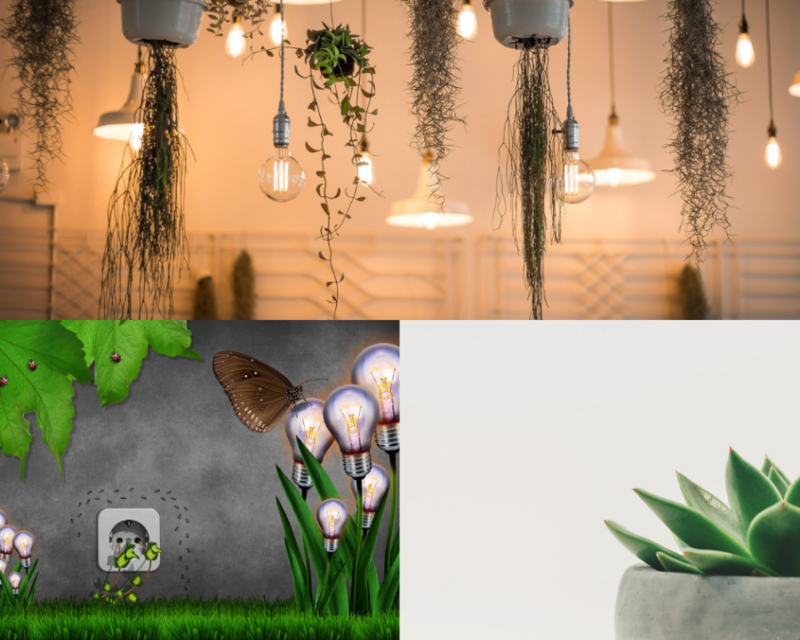 Go with indoor friendly plants for décor, make waves with wall and ceiling hangers. Downright turn your booth into a big show fest for organic items. 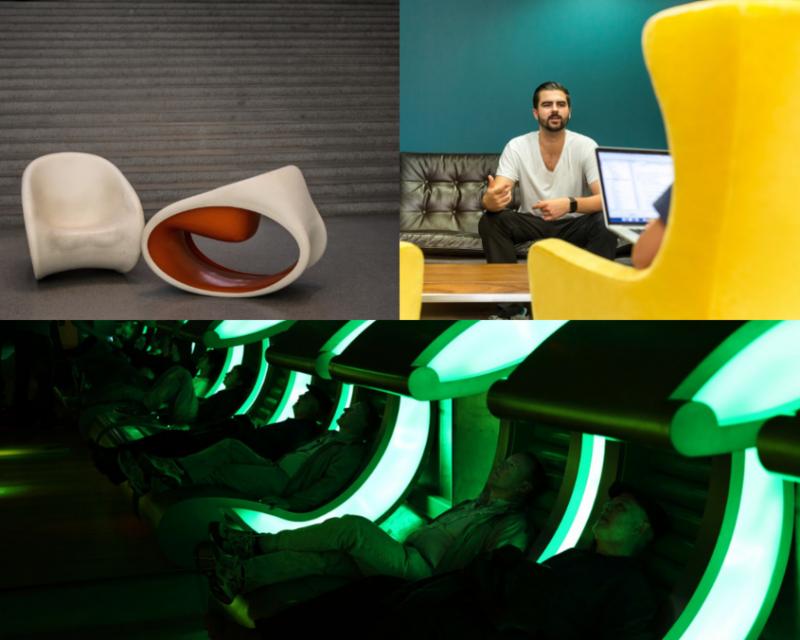 Plus, green is a greatly refreshing color as science has proven. It is cool to your eyes, but not as cool as your booth will look on the big day. A great contrast to Mother Nature is modern technology and hi-tech equipment. 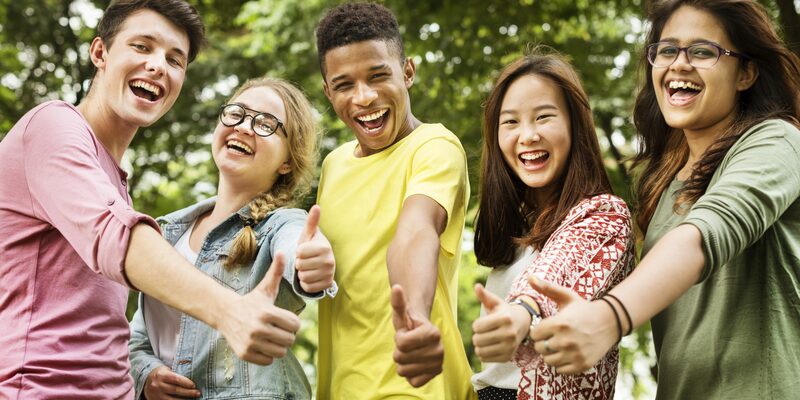 These are the alluring factors that pull the millennials and centennials like a swarm. Let’s face it’s their generation that holds the key to our future. This might seem to be the priciest option on our list but including biometric devices and RFID checkers on important customer touch-points is simply the crux of things that you can do to make your setting and its experience instilled with technology. 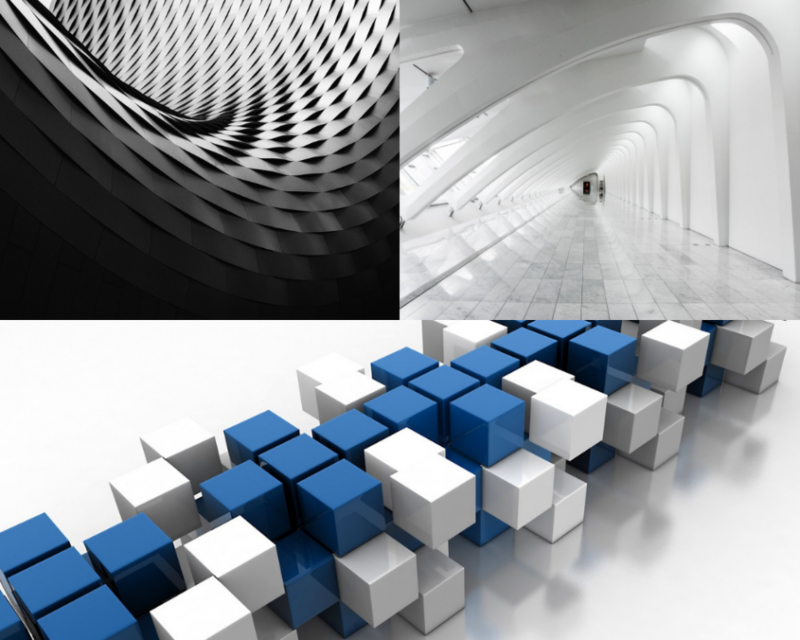 Go completely sci-fi and follow this theme to the core. Last but not least, offer them a puzzle or a mystery to solve. Tease their brains a little. Give their cognitive cogs a juggle. Make it entertaining for them. The more you stimulate their senses, the better will be their retention regarding their visit to your booth. It is all about making lasting impressions. 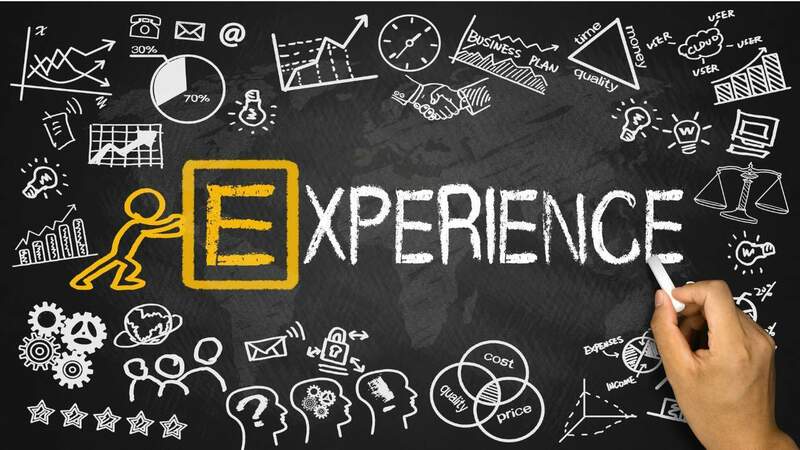 The experience you offer them is how they are going to remember you by. So take some time out and think about it with an out of the box approach. 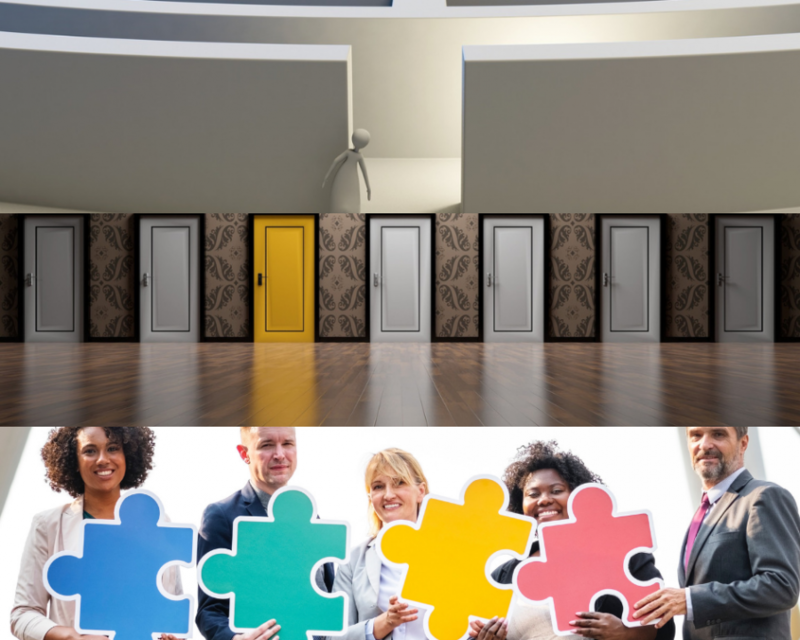 We hope this post was able to offer you some deep insights regarding crafting your own custom exhibit design for your company’s next big outing at a tradeshow. No matter what decisions you might take, do not forget to have a good time. This is a great learning experience and it should be observed in a heartfelt manner nonetheless. We wish you all the best from our side for all of your future endeavors. If you have any opinions or suggestions regarding the topic or about something we missed out on, then please share with us your feedback in the comment section below. Lots of companies receive one-time orders from customers, but it takes extraordinary service to get repeat orders and switch these customers into long-term clients. Thankfully, you’re not in it alone. When working with a printer that delivers superior client service, you’ll be able to pass those benefits onto your buyers. You’ll be a distributor that provides what others can’t, and you’ll capture their business anew. Look for a printer with the subsequent traits and you’ll be able to expect more orders. 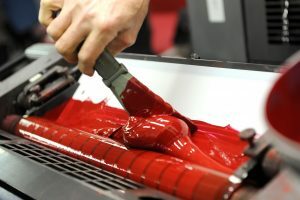 Your printer shouldn’t simply fulfill orders; they should create them exceptional. Since printers comprehend their products best, they can supply suggestions you haven’t thought of to drive your printing to the next level. If you’re kept in dark regarding where your shipments are, your clients are too. Make your clients feel secure regarding their orders. When your printer regularly communicates important updates to you, you’ll be able to pass the information to your clients through each step of delivery. Rest assured, if your printer is aware of something regarding your order, you’ll know too. Make sure your customers continuously get the best deal. With thousands of printers out there, it’s not possible to match prices on every single product. Luckily, if your printer offers price matching, you don’t need to. MMPrint.com always tries to match any lower price on an identical product found. Simply send over the quote to your dedicated print specialist and they will work with you on a reduced price. Work with the printer you would like and continuously get the best prices. You can take your business anywhere. Your printer should make you feel significant and show they appreciate your business. 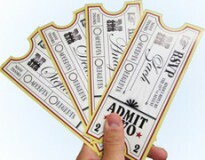 Maximize your profits by partnering with a printer that gives discounts for repeat business. Printers are made up of people, after all. 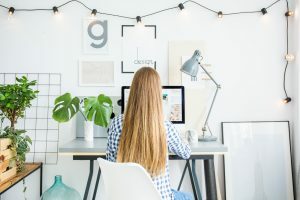 Placing orders and requesting quotes shouldn’t feel impersonal: You should feel like you’re working with real people rooting for you to succeed by pleasing your clients with their products. Make sure your printer cares about you, your clients and what you need. • Holiday greetings, just to say hello! Or just give us a call and reach a live person right away at 1-877-MMPrint. Our customer service team is here to help with any of your printing needs! 14pt Gloss Cover, 100lb Matte Text, 15 mil Synthetic, there are so many different types of paper out there and you are probably wondering what type to use for your next printing project. In order to figure which one you should use, you should know the difference between all of them. To Print Coated or Uncoated? That is the Question. 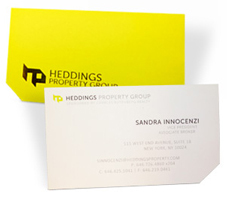 The three most common paper types that we offer are gloss, matte, and uncoated stocks. 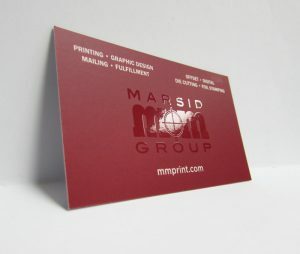 Gloss paper has coating that adds a sheen to the design. This gives the colors a higher contrast which makes it great for advertisements. Matte paper has a subtle coating that slightly increases the contrast of the design without the intense glare that is found in gloss coating making this paper stock great for lookbooks and comic books. Last, but not least, uncoated paper, as the name implies, does not have any coating making it the ideal paper stock for text. Also, uncoated paper can be written on making it the ideal choice for coloring books and journals. Paper stocks are also classified into cover and text stocks. Cover stock is a thicker paper meant for soft outside covers and used for single page prints. Text stock is thinner and used for flyers and the inside of books. 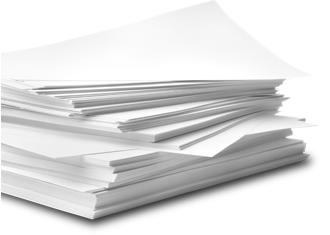 Each type of paper stock, whether it is cover or text, is further classified based on its weight. For those who do not know, a single sheet of 100lb gloss text does not actually weigh 100lb. 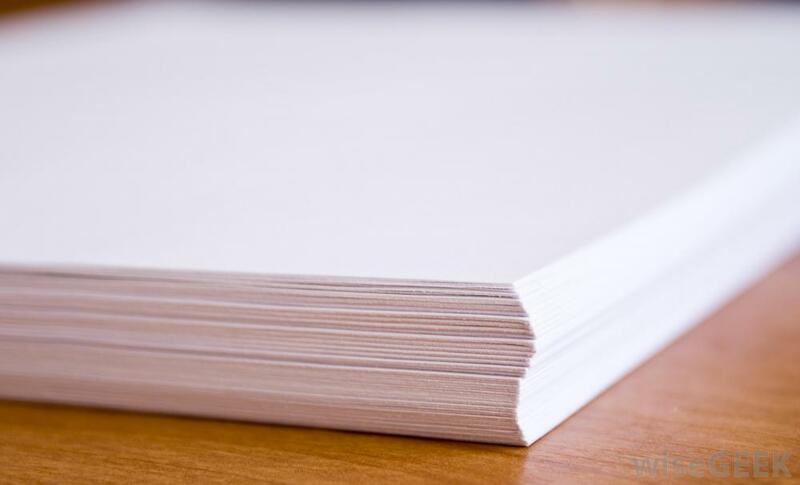 What determines the weight of a paper stock is how much 500 sheets of that paper weighs. When you think about it, each sheet is a lot less than even a single pound. There are also various paper finishes that sets certain paper stocks apart. For example, 2 very unique finishes are Linen and Laid. 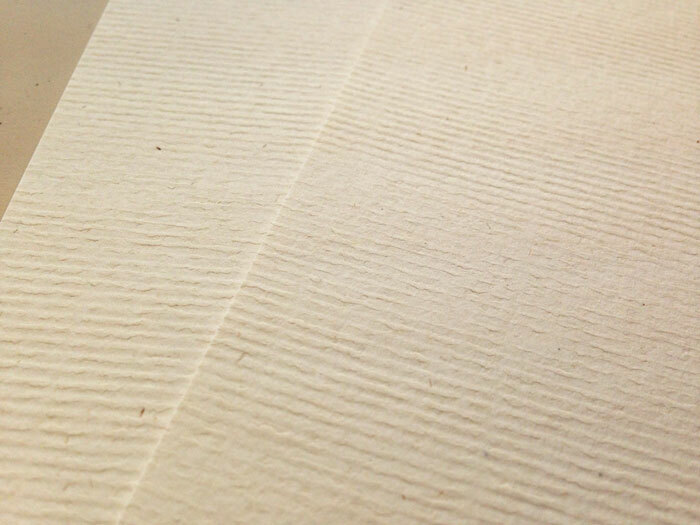 Linen paper has a crosshatch pattern embossed into that paper. The pattern looks similar to linen table cloth. Laid paper had a different texture made up of ribs known as chain lines. They appear horizontally and vertically on the paper. Another very unique paper is Synthetic Paper. What makes this paper so special, is that it is not really paper at all. It is a PVC-based material that is waterproof, tear proof, and heat resistant. Although extremely durable, it still has the feel and look of high quality thick paper. 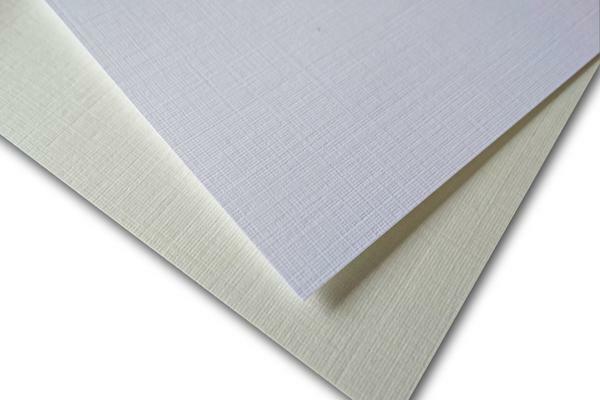 This makes Synthetic Paper perfect for restaurant menus, post cards, and training manuals. At Marsid, we carry 2 types of Synthetic Papers, 12 mil and 15 mil. 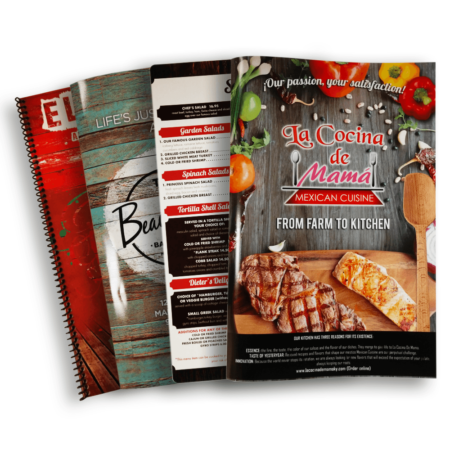 12 mil Synthetic Paper is perfect for folded menus while 15 mil is better for standalone sheets or bound books. There are a ton of options for paper stocks which means there are a ton of options for you to print on. Hopefully, you have learned a thing or two about the various kinds of paper and are now equipped with the knowledge to know what you type of paper would be best for your project. 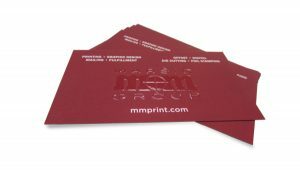 However, if you are still unsure with what paper stock to go with, you can contact our print specialists at the Marsid M&M Group and we can give you our expertise on what type of paper would be best for you. The printing press was introduced to the world by a man named Johannes Gutenburg. The blacksmith from Germany invented the first wooden printing press in the 15th Century. This phenomenal invention allowed for mass production of books and distribution of knowledge. Prior to the printing press, written knowledge was limited to a very few. By the end of the 15th Century, the printing press had become a prominent piece of equipment that had already produced over 15 million books in its first 60 years of its existence. Upon its invention, the printing press has been used to mass produce novels, manuscripts, and an early version of the Bible. Over the course of the next few centuries, there were not any large advancements to the printing press until the Industrial Revolution. In 1810, the first high-speed printing press was invented by Friedrich Gottlob Koeng. Four years later, the steam-powered printing press was developed and the first facsimile machine, or fax machine, was patented. It was not long before the competition for the best printing press began. 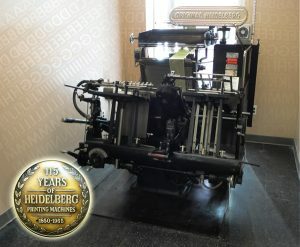 Amongst the competitors were the Heidelberg printing presses. They are versatile presses that are capable of printing, perforating, hole punching, die-cutting, embossing, scoring, and foil stamping. 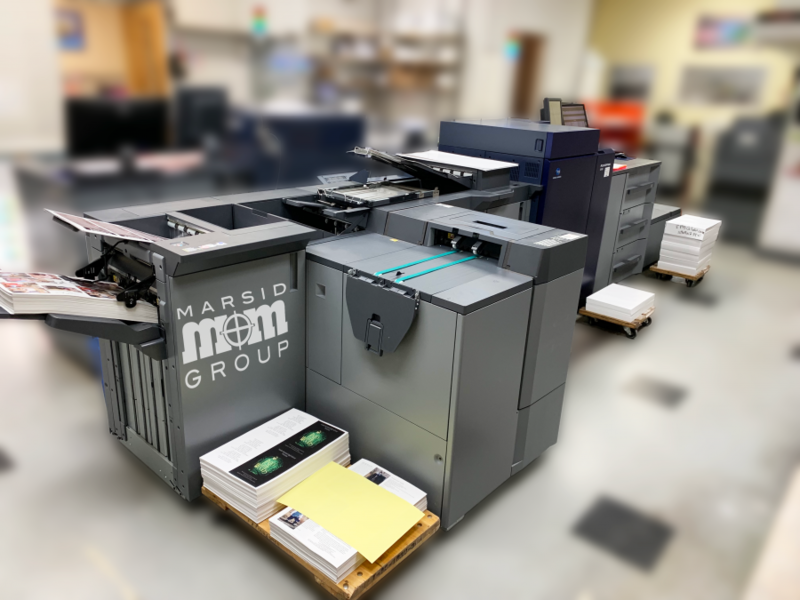 The Marsid M&M Group is fortunate enough to have such a press that we use to die-cut shapes into or out of paper as well as foil stamp and emboss. Towards the end of the 19th Century, the offset printing press and the typewriter were invented. In the 20th Century, the invention of printers was geared more towards the everyday consumers. Some examples include, photocopiers, inkjet printers, laser printers and the modern-day fax machine. However, in 1993, the digital printing press was developed by Benny Landa. 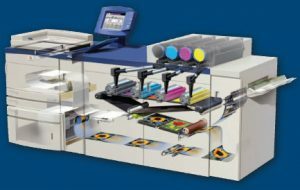 This invention revolutionized commercial printing allowing for smaller print jobs by drastically lowering setup cost of smaller printing jobs and making variable data printing much easier. Fast forward to today, print is seen everywhere. 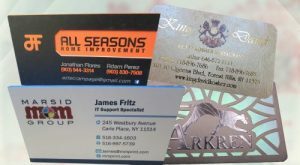 Advertising, newspapers, calendars, lookbooks, booklets, business cards, brochures, magazines, menus, hang tags, coupons, catalogs, cards, bumper stickers, tickets, folders, journals… the list goes on. 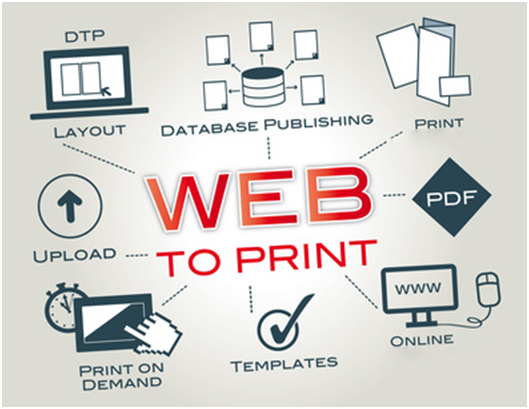 Over the past few centuries, printing has gone through many advancements, but whether it is digital or offset, print can be found anywhere and everywhere. Today, knowledge is easily accessible to anyone willing to put the effort to look for it. This is because of how big the printing industry has become in the last 6 centuries. However, due to the presence of digital media, we often overlook how big the print industry actually is. 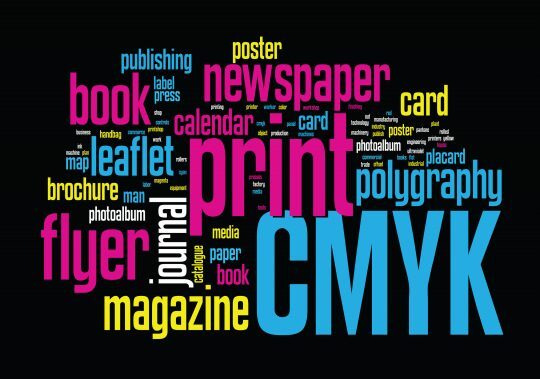 Contrary to popular belief, the printing industry is still growing. In fact, global print was an $898 billion industry in 2016 and is on track to reach $980 billion in 2018. Not bad for an industry twice the age of the United States. familiar, people often feel uncomfortable placing an order and asking questions. Ultimately, we are here to answer your questions, and we hope you take advantage of this blog to help answer some questions. We will try to help explain certain attributes and attempt to help give suggestions. It turns out that you need to have calendars printed for your company or to give as a business partner as a gift. Or you are opening a restaurant and need menus. Perhaps, you have a big presentation coming up, and you need presentation folders to hand out so everyone is on the same page…literally. Either way, you need something printed. Naturally, your next thought is: Let me contact The Marsid M&M Group, everybody knows they’re the best. Ok, so that last part may not have happened, but let’s assume it did. 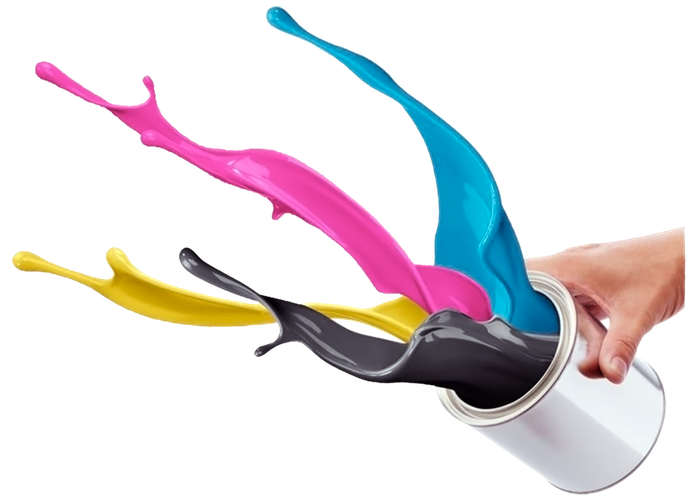 From this point, I am going to assume that you are putting an order through online because if you call us, our print specialists can answer all your questions over the phone. Or, you can read this blog, and then call in and act like you’ve been printing projects for 30 years. Step 2: Paper weighs 100 lbs? many feel overwhelmed or get confused. Some of the terms may sound unfamiliar. As you see, I have selected booklets for this item. 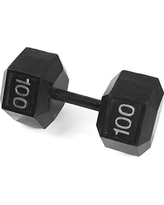 We first decide on the quantity of our printed item. Next, we come to Pages. This can get tricky. Printers do not count the number of pieces of paper. We count pages as a book does, including the cover. So, a cover is 4 pages, the front cover, the inside jacket, the rear jacket, and the back cover. A book with a cover and 75 pieces of paper in between is in printer’s terms, 150 pages plus cover. We number every surface area. Next, is the page size. This is the actual size of an individualized numbered page. Or the size of the cover, (unless the inside and outside are different sizes). 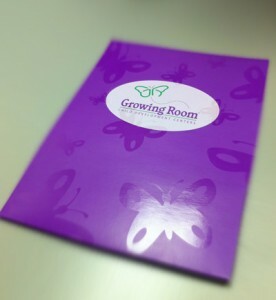 Any product that has a cover and inside pages will require the type of cover paper and the type of inside paper. 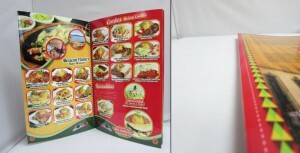 Normally, you would choose cover stock for a cover and text stock for the inside pages. You will also have to choose the color of the cover, inside and out. For printers, any color is full color. 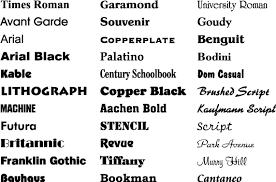 You can choose black ink, or leave it blank. For a cover, you may choose full color on the front and black ink on the inside. Next, you must choose the color of the inside pages. Remember again, if 1 page has color on it, then the inside pages are full color. Lastly, we come to how the booklet is bound. For a booklet, there are 4 different binding options. Saddle stitching, which is like a magazine, the pages are simply stapled or stitched together. Spiral bound, like a school notebook. Wire O bound is like spiral except that it is not continuous. It is a number of individual wired loops that are perpendicular to the edge of the page it is binding. Lastly, it can be perfect bound, which is like a normal paperback book. There are page limits and requirements for binding. You can call us to ask, or when the quote is put through, we will let you know what your options are. Once you have been assigned a print specialist and receive your estimate, you may go over any additional questions that you may have and review the pricing. At this point, you want to make sure your artwork is done and is a Print Ready PDF. 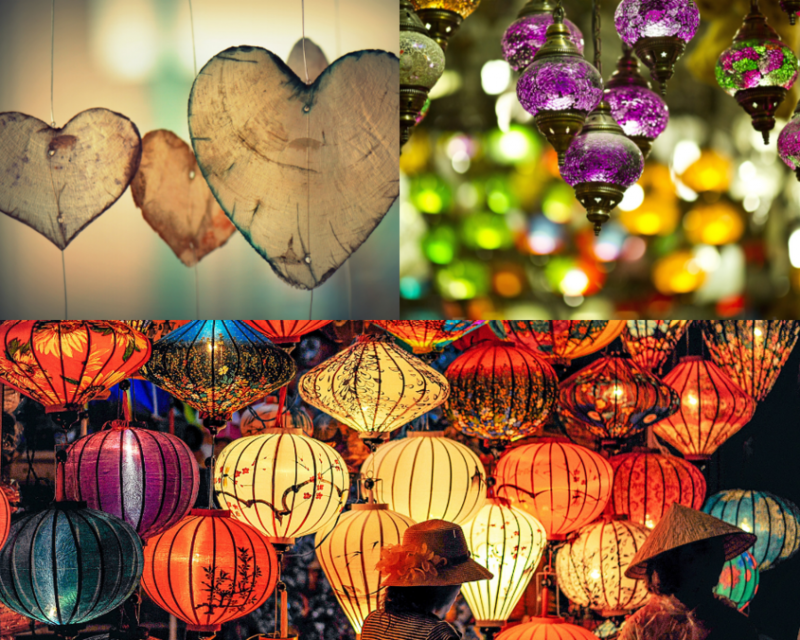 We also have a blog post that explains how you can use a free piece of software to design your artwork if you haven’t already created your artwork. After you made sure your artwork is ready for printing you can simply click the blue Order Now button at the bottom of your estimate which will bring you to the order form that is customized for you. 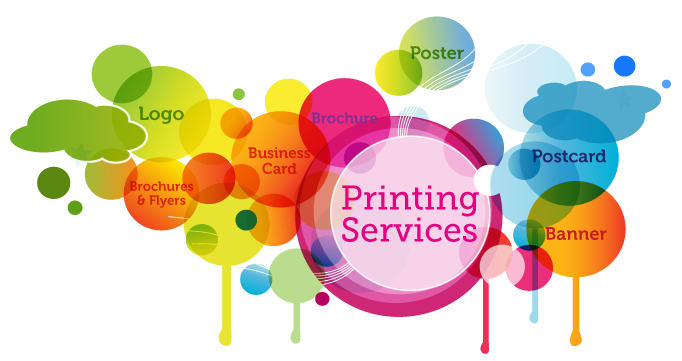 Next, you will come to where you provide us with your billing and shipping info so that we can get your final printed project to you in a timely manner. As you can see you are given 3 options for completing your order. One being complete order and upload file (The option you are most likely going to want to choose), Complete order and upload files later (Only select this if you do not have your files yet), and complete order and use previously uploaded files (Use this if it is a reprint or if we already have your artwork). Now that have completed your order you should receive a low-res proof soon of what your artwork will look like when printed. If everything looks correct you can approve it. Next production is started and when it is completed you will receive an email with tracking for your package. 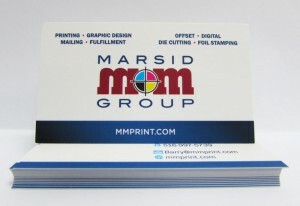 Now that you know the basics to getting custom printing head over to the Marsid-M&M Group and have it printed right the first time with customer service experts! What is the first step to getting your print project started? So the first step in getting your project ready to be printed is designing it of course. Now not everyone is Leonardo DaVinci or is willing to pay to have a graphic designer make their ideas come to life. So what options are you left with? Well, you can fire up photoshop (If you have it) and attempt to design your project or use a site like Canva. 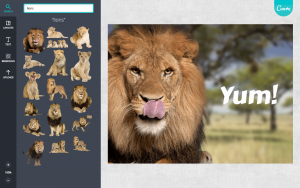 Canva is a free, super easy to use, drag and drop, online DIY Graphic Design Tool. Boasting over 10 million users and just about 4 years of experience, Canva can proudly say it only takes 23 seconds to learn their software. Let’s take a look at how easy it is to get your Print Ready PDF. First, we are going to go to Canva’s website and create a free account. You can choose from one of their 3 sign-up options. (Facebook, Google+, or Email) After confirming your email simply login to your new account. off you go on making your creative dreams come true! You can do many things with the built-in tools, like adding stock images, your own logo, text, and much more. 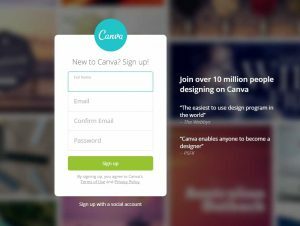 Canva has put out a large amount of guides and tutorials on how to become a design master in no time. I highly recommend you give them a look. Once you have completed your design simply press download. 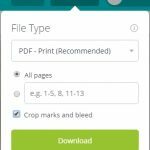 Leave the file type as PDF-Print and check off the crops and bleeds box. Now click download again and you will have your design ready to hand over for printing! Now if you haven’t already, you can request an estimate to get your printing started. If you have already received an estimate you can simply click place order and upload the files at checkout!